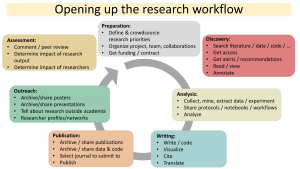 Open Science: what’s in it for me? 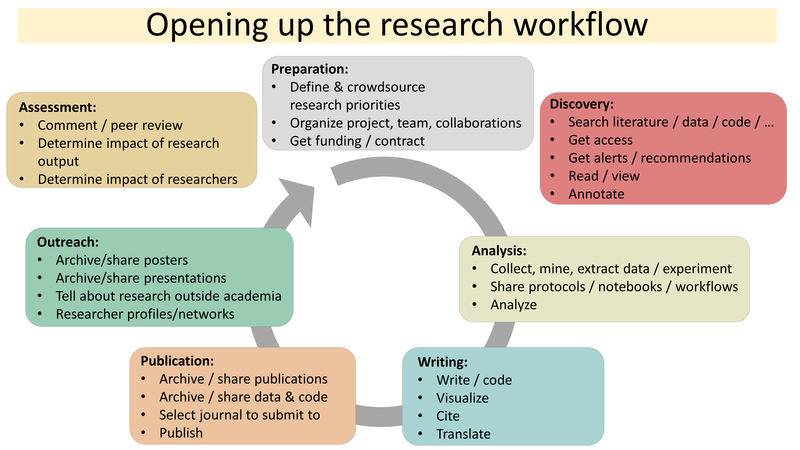 Open Science is changing how scientists and scholars collect their data, present and share their research, publish their findings, reach out to other communities and the public and assess the impact of their work. 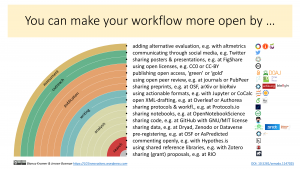 This workshop is about Open Science and you: what’s in it for you? We do not aim to discuss Open Science on a policy level, but rather want to help participants discover what tools and platforms are out there and how researchers can implement Open Science into their daily scientific routines. 15.15-16.15 How will you do your research tomorrow? Bianca Kramer (@MsPhelps) is a librarian for life sciences and medicine at Utrecht Library, with a strong focus on scholarly communication and Open Science. Through her work on the project ‘101 innovations in scholarly communication’ (including a worldwide survey of >20,000 researchers) she is investigating trends in innovations and tool usage across the research cycle. She regularly leads workshops on various aspects of scholarly communication (e.g. online search, altmetrics, peer review) for researchers, students and other stakeholders in scholarly communication, and has an active interest in data- and network visualization. 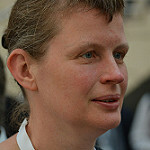 She is a member of the steering committee of the Force11 Scholarly Commons Working Group. 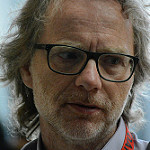 Jeroen Bosman is scholarly communications and geoscience librarian at Utrecht University Library. He is an expert in the field of citation databases, reference management tools, e-books and web search, Open Access and Open Science tools. His main interests are Open Access and Open Science, scientometrics, visualization and innovation in scholarly communication. He is an avid advocate for Open Access, Open Science and for experimenting with open alternatives. He is co-author of the poster 101 Innovations in Scholarly Communication depicting innovation trends by research workflow phases and he has led the global survey in Innovations in Scholarly Communication with his colleague Bianca Kramer. Their 101 Innovations in Scholarly Communication became a milestone in Open Science.